Woodlice, while harmless to humans, can cause some serious damage to households – furniture and furnishings included. It is a good idea to work towards eliminating these pests as quickly as possible. Normally, damp spots attract woodlice. The best methods for killing woodlice are Insecticide Spray, Dusting Powders and Woodlice Fumers & Foggers. Insecticide sprays are one of the most common method for controlling woodlice. 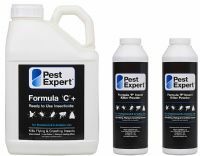 Most woodlice killer insecticides contain strong active ingredients such as Permethrin, Tetramethrin or Cypermethrin to a control woodlice infestation. For best results, we recommend using a spray with a quick knock-down together with a long-lasting residual spray, for a combined attack. 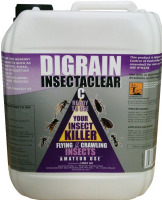 Woodlice Killer Powders are very effective at controlling woodlice infestations, without the use chemical insecticides. Some powders such as Diatomaceous Earth and Silicon Dust kill woodlice by cutting through the exoskeleton of the insect. As these powders are free from chemicals and insecticides, they can be used in chemical sensitive areas such as kitchens.